Spotty pullbow ribbons. 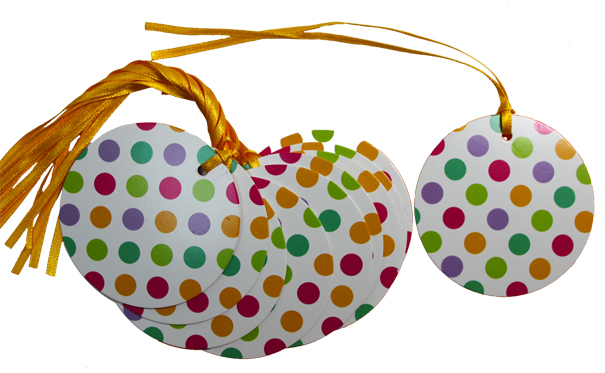 Individually wrapped pack of 5 pullbows with a 32mm width ribbon featuring an eye catching multi-coloured spotty design. Final bow measures approx. 11cm diameter and consists of 18 loops. The perfect finishing touch to gift baskets and hampers all year round. 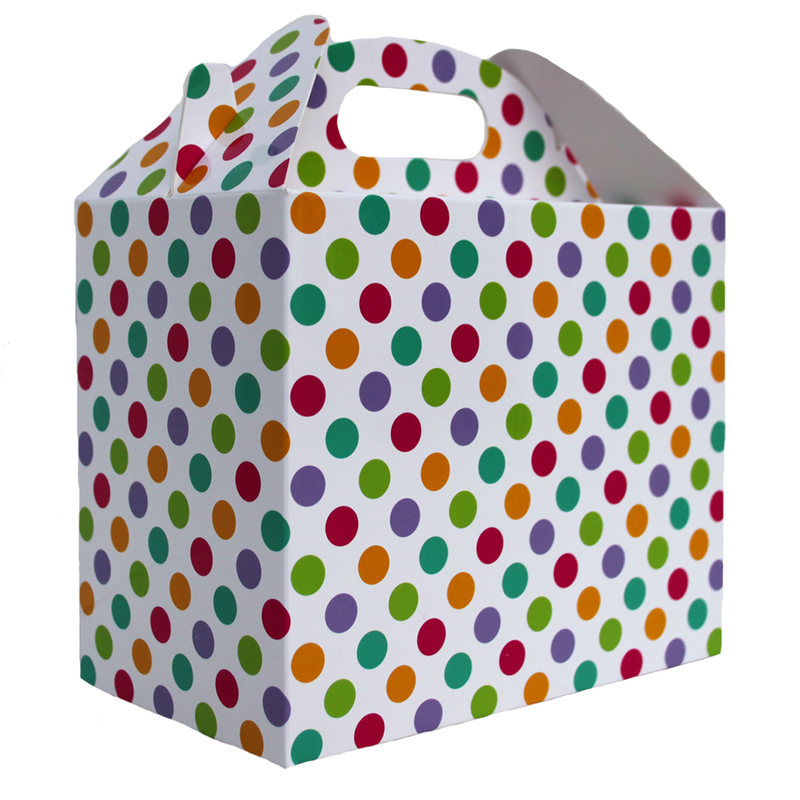 These pull bows are from our Spotty Range which also includes 50mm wide pull bows, small candy bags, large candy bags, a custom fit candy bag tray, gift hamper trays in 3 sizes, a gable box and gift tag.